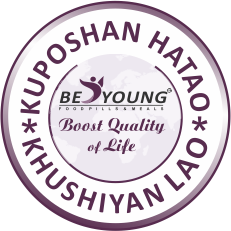 " We Envision a World where Every Individual, Sick or Well, has Meaningful Access to Information and Nutritional Solutions to Counter Kuposhan "
Skin! Hair! and Energy levels are public measures of your Age. Celebrities look young, desirable, pretty, handsome because of their skin, hair and energy levels. Tight schedules cause never ending STRESS. This STRESS is killing you. You are getting sign of early ageing. Here are brilliant cell micronutrition BE YOUNG STAY WOW Food pills & herbal natural safe products to keep your stressed cells healthy, protect from free radicals damage, catalyze energy production, and prevent early ageing. Welcome to BE YOUNG STAY WOW Food Pill Life Style Club and guide others to be as successful as you. The flawless, blemish and healthy skin that you've always desired can be reality. Here are brilliant skin micronutrition BE YOUNG STAY WOW Food pills & herbal natural safe products to get that glow you've always wanted. Now nourish the skin from the inside. Make Skin cells healthy and defy ageing, wrinkles, dullness. Welcome to BE YOUNG STAY WOW Food Pill Life Style Club and guide others to be as beautiful and handsome as you. Meet the demands of modern and hectic lifestyle with BE YOUNG Health Aid products. These products are a healthy choice for the ones who believe in the power of good nutrition. Here are premium quality products that are formulated with utmost care after proper scientific research of the unique ingredients used so that your health is not compromised. Welcome to BE YOUNG STAY WOW Food Pill Life Style Club and guide others not to compromise with quality.